Now offering two convenient locations! 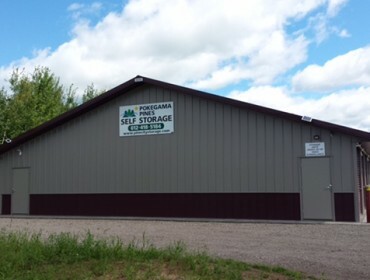 Pokegama Pines Self Storage is a locally owned and operated self storage business. We offer convenient indoor storage for cabin and RV owners who frequently travel to the area and points north as well as those locally who need extra space.We offer two convenient locations both minutes from Pine City. Our newest location is 3 miles north of Pine City on Hwy 61 just south of the Beroun Crossing. Our other location is located just 5 min off I-35 on the south west side of Pokegama Lake. Directions: From Pine City: Go west on Cty Rd 7 for 4.5 miles. Right onto Cty Rd 13. Right onto Birchview Rd (.3 miles) . Buildings on the left just before the T in the road. Copyright © 2018 Forever Herky, LLC. All Rights Reserved.